Hailed by Armin van Buuren as “the future of trance music,” Andrew Rayel (real name: Andrei Rata) is a classically trained electronic dance music DJ and producer from Moldova often referred to as the “modern-day Mozart.” As a DJ, Rayel exudes an unbridled enthusiasm for the music he plays and his onstage performances are electric and filled with physical energy. Drenched in a well-earned sweat after every set, Rayel earns his position as a band-leader, stirring up his crowds’ passion as much with his music selection as with his bodily vigor. He has DJ’d the world’s biggest festivals, including: Ultra Music Festival in Miami; TomorrowLand in Belgium and TomorrowWorld in Atlanta; Stereosonic in Australia; Global Gathering in the UK and other countries; Electric Daisy Carnival in Las Vegas; Electric Zoo in New York; Transmission Festival in various countries; Ministry of Sound in the UK; Dreamstate in San Bernardino; Electronic Family in Amsterdam; Zoukout in Singapore; and Together Festival in Thailand. Rayel is a regular on the lineup at various ASOT stages around the world. Nightclub residencies see him performing onstage at superclubs, including: Marquee Nightclub & Dayclub in Las Vegas; Marquee and Lavo in New York; Ushuaïa Beach Club in Ibiza; Zouk in Singapore and Kuala Lumpur; Escape in Amsterdam; and Ministry of Sound in London. 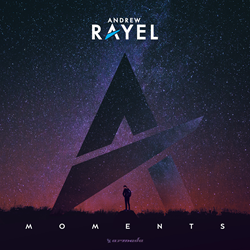 View the Moments tour dates as they’re announced, here: http://www.AndrewRayel.com. 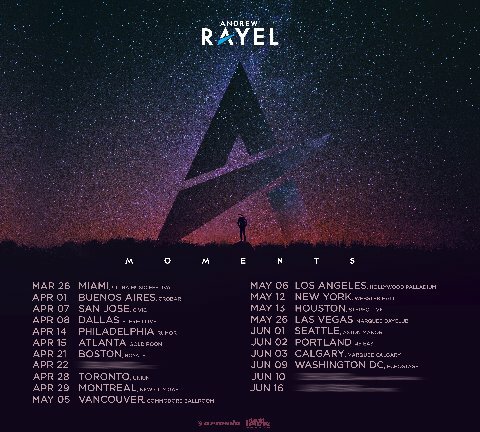 For more information on Andrew Rayel, RedOne, MaRLo, Giuseppe Ottaviani, Price & Takis, Assaf, Eastside Boyz, Lodato, X-Change, Mimo, Harber, and artists like Armin van Buuren, contact EMILY TAN Media Relations (U.S.), +1(917) 318-3758, EmilyEmilyTan(at)aol(dot)com. Follow EMILY TAN Media Relations on Twitter @EmilyEmilyTan and LinkedIn http://www.linkedin.com/pub/emily-tan/4/342/70b.